(Honolulu) – Personnel from the DLNR Division of Aquatic Resources (DAR), in consultation with the former director of the International Shark Attack File, have ruled out a tiger shark as having been involved in Tuesday’s incident at Anaeho‘omalu Bay on Hawai‘i Island, in which a California woman was bitten on her leg. It’s believed the shark was probably a Galapagos shark, 6-8 feet long, but a definitive determination can’t be made because it’s difficult to distinguish what are known as requiem sharks based solely on injuries. The term requiem shark is now used on the State shark website to refer to any unidentified member of the Carcharhinidae family of sharks, except tiger sharks. These include Galapagos, blacktip, blacktip reef, gray reef, whitetip reef, and sandbar sharks. In addition, only shark encounters that involve someone being injured are listed, not when a shark bites a board or boat. A previous incident at Anaeho‘omalu Bay on March 26, 2019 has therefore been removed from the list, as analysis of the evidence suggests that the person involved was not bitten by the shark. 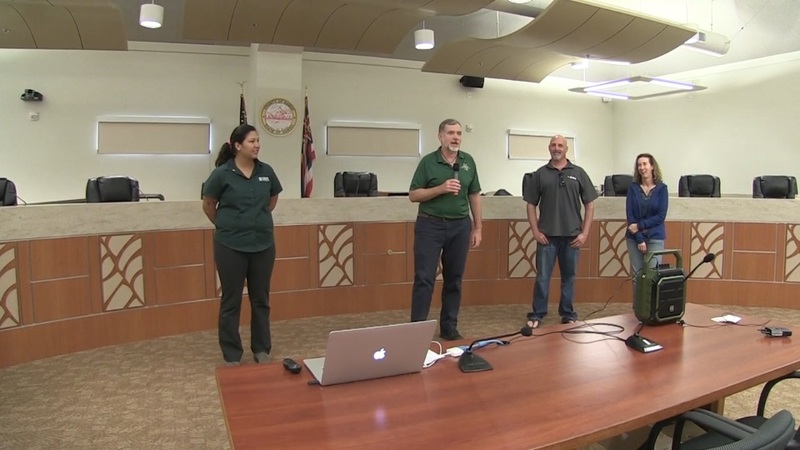 People who participated in the community forum on Rapid Ohia Death held at the West Hawaii Civic Center in Kona on March 30, 2019, again break into small groups for a second question and answer session with the experts. (Honolulu) – In the coming days and months it’s going to be hard to avoid the phrase, “Mlama Hawai‘i,” when flying, staying in a hotel room, watching TV or enjoying the outdoors throughout the Hawaiian Islands. DLNR and the Hawai‘i Tourism Authority (HTA) have partnered to launch Mlama Hawai‘i, a comprehensive campaign designed to educate and remind visitors and kama‘ina about being respectful of the islands’ natural resources, protecting wildlife, and staying safe at all times while in Hawai‘i. As part of the campaign, seven Mlama Hawai‘i public service announcements (PSAs) will be available for Hawaiian Airlines guests to watch onboard the carrier’s Airbus A330 aircraft on flights between Hawai‘i and North America and its international destinations. The 30-second videos focus on various topics essential to caring for the land, ocean and wildlife, which include staying on authorized hiking trails, refraining from trespassing on private lands or in restricted areas, respecting cultural sites and supporting conservation efforts. 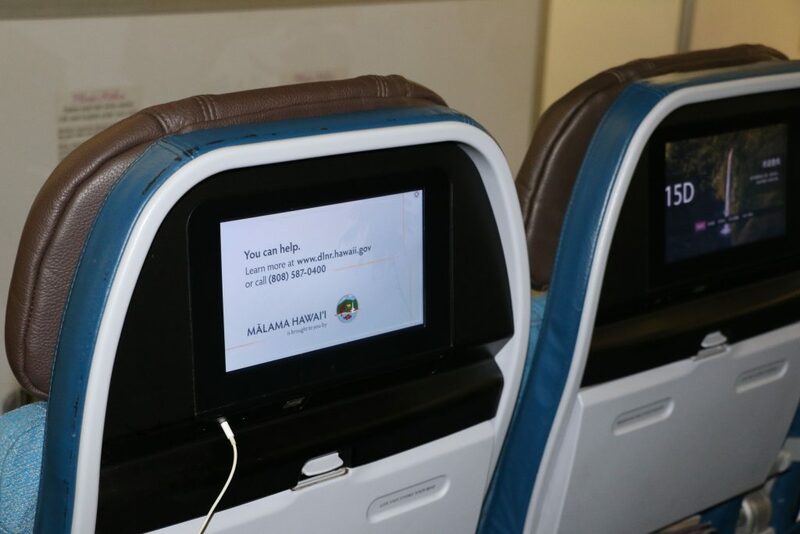 Hawaiian Airlines was the first carrier to agree to include the PSAs in its digital entertainment offerings on flights from the U.S. mainland. AirAsia X is beginning to play audio versions of the announcements. Discussions are also underway with both domestic and international carriers to show the :30-second spots. In addition, the PSAs will run in 27,000 hotel rooms around the state, reaching an estimated three million guests each year. 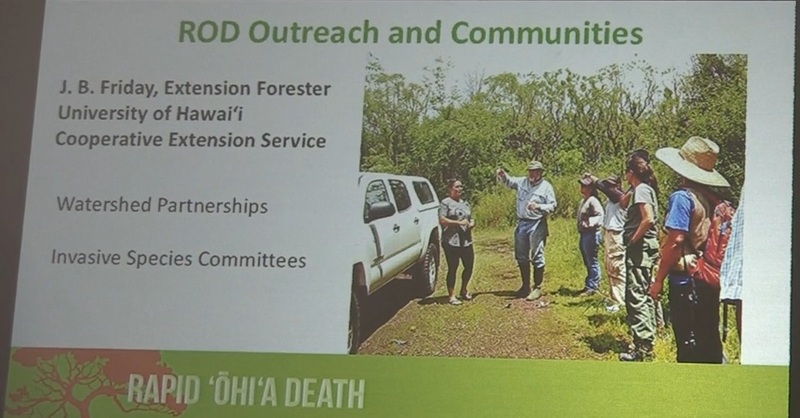 Funding support provided by Hawai‘i Tourism is being utilized for outreach and educational materials about preventing Rapid ‘Lhi‘a Death, visitor surveys of Hawai‘i State Parks and the establishment of a carbon credit system. To kick-off the Mlama Hawai‘i campaign, for the next seven weeks, DLNR’s Facebook page will feature the PSAs and show people how to be safe, sound and secure in Hawai‘i. (Lihue)-The Federal Emergency Management Agency (FEMA) has determined the Waimea and Hanapepe levees on Kaua‘i do not provide a high level of protection and are to be de-accredited. New preliminary flood maps, effective in 2020 show areas behind the Waimea and Hanapepe levees to be in a high-risk flood zone. The DLNR Engineering Division, FEMA and Kaua’i County would like to inform home and business owners behind these levees that the new preliminary FEMA Digital Flood Insurance Rate Maps (DFIRM’s) and Flood Insurance Study (FIS) are available for viewing at the Kaua’i County Department of Public Works, Engineering Office at 4444 Rice Street, Suite 175 in Lihue. The updated maps will help community officials and residents better identify known flood risks. A property’s flood risk may change and consequently so will the requirement for federally mandated flood insurance, as well as construction standards. Representatives from Kaua’i County, FEMA, and the DLNR Engineering Division will be available to answer questions, concerns, and provide information on the mapping timeline and appeals process at these community meetings. More information: http://www.fema.gov/preliminaryfloodhazarddata or http://gis.hawaiinfip.org/fhat. (Honolulu) – While the complete data is still being analyzed, aerial surveys of Hawai‘i Island, Kaua‘i, and parts of east Maui earlier this year covered 1,081,000 acres of »Mhi»a forest being potentially impacted by the serious fungal disease known as Rapid »Lhi»a Death (ROD). 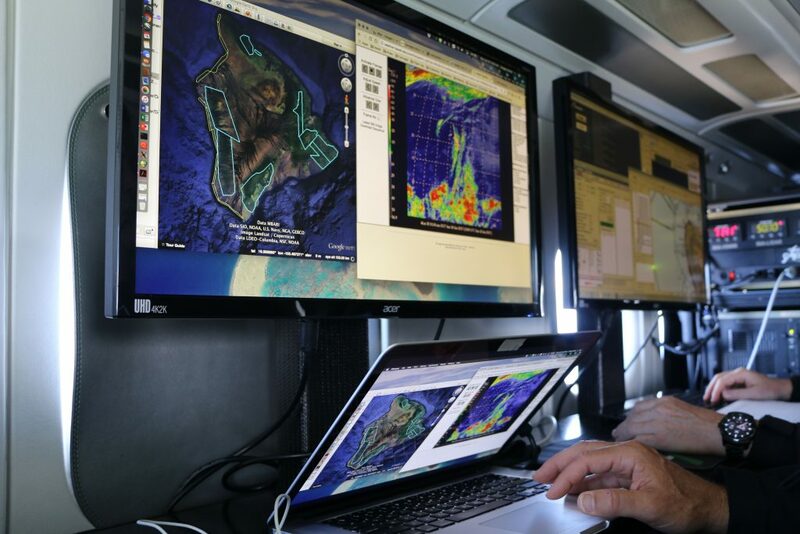 The overflights conducted by the Arizona State University (ASU) Center for Global Discovery and Conservation Science in Hilo, utilize a high-tech turboprop aircraft loaded with sophisticated mapping and detection equipment. The $250,000 surveys were funded by the Hawai‘i Tourism Authority (HTA) as one of several ROD initiatives HTA is supporting to help educate people about Rapid »Lhi»a Death and to learn more about the disease. DLNR and its partners conduct regular “sketch mapping” aerial surveys of »Mhi»a forests across the state to detect new disease outbreaks. These surveys are done from helicopters, but the data collected by ASU’s high-altitude aerial platform is much more precise and provides highly accurate location data on trees suspected to be infected with ROD. “The HTA support has helped expand our outreach to visitors who could potentially move ROD from island to island and allowed us to utilize state-of-the art forest monitoring technologies to better map the disease,” said Rob Hauff, State Protection Forester, for the DLNR Division of Forestry and Wildlife. Over the past year Hawai‘i Tourism has provided more than $400,000 in funding support for numerous ROD initiatives, including: $20,000 for trailhead sanitation stations and signs, $20,000 for bio-sanitation workshops for eco-tour operators, as well as support for the annual »Lhi»a Love Fest in Hilo. 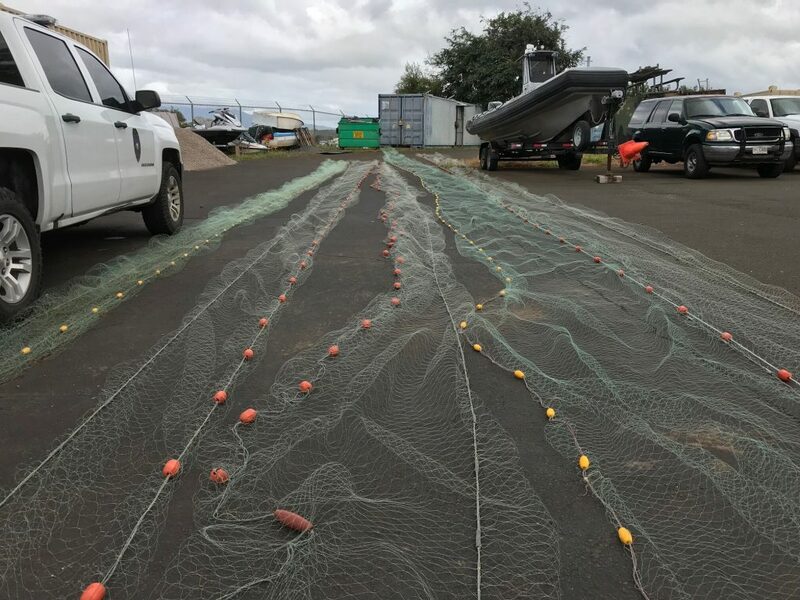 (Honolulu) – Nearly one thousand feet of suspected illegal lay net was confiscated by officers from the DLNR Division of Conservation and Resources Enforcement (DOCARE) this morning. This, after a DOCARE officer on routine patrol on the shoreline adjacent to the La Mariana Sailing Club Restaurant on Sand Island, spotted a man tending several large bags at about 6:30.The officer suspected the bags were filled with what appeared to be lay nets. A team of DOCARE officers inspected seven bags and found that four of them contained an estimated 100 undersized fish as well as live coral. The fish species include Papio, Kala and Moi. The four nets with the illegal take were seized and 47-year-old Gary Shigematshu of Salt Lake received approximately ten citations. DOCARE officers want to remind people about responsible and legal netting and protecting and conserving Hawai‘i’s natural resources. People can report suspicious activity via the free DLNRTip application of by calling the statewide hotline at 643-DLNR (3567).